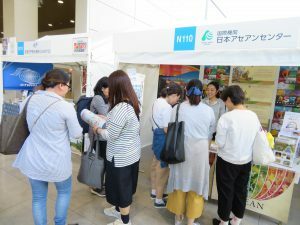 Tourism & Exchange Division participated in Kanku Tabihaku 2017 at Kansai International Airport. Kanku Tabihaku is the largest travel event in the western region of Japan. AJC distributed brochures of ASEAN travel information, introduced the winning products of the Mekong Tourism Award, and promoted SNS media of AJC. 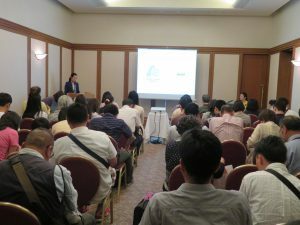 Also, AJC spoke at the Overseas Travel Seminar jointly with Scoot (LCC airline) to introduce the destinations of ASEAN, and its access to and within ASEAN using Scoot. The seminar was attended by about 55 people.